Oh yes. My wool problem has returned. I’ve taken to making smaller things lately… yes, my five year blanket is still going. Sad. But true. In the past, I’ve gone into projects without a means to an end or without direction or an end date. So now, I like to think I’ve learned from my mistakes. 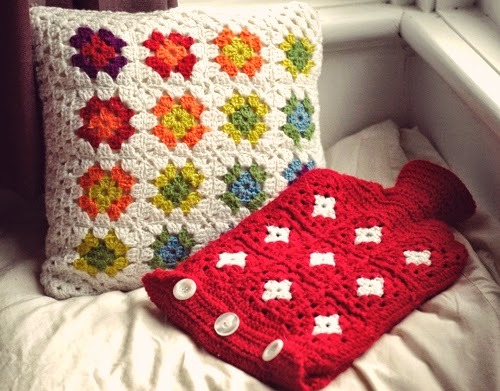 I finished a pillow cover, a hot water bottle cover and two hats for the boys in a few weeks. It’s a record for me! The rainbow pillow was something that I had been wanting to make for a long time. I had drawn out the colour pattern ages ago and originally wanted to make a blanket, but we all know how blankets end… Or don’t end… So a pillow it is. The hottie cover was without a pattern too. And noticeably so. But it serves it’s purpose and keep my hottie hot until the late morning. Heavenly. 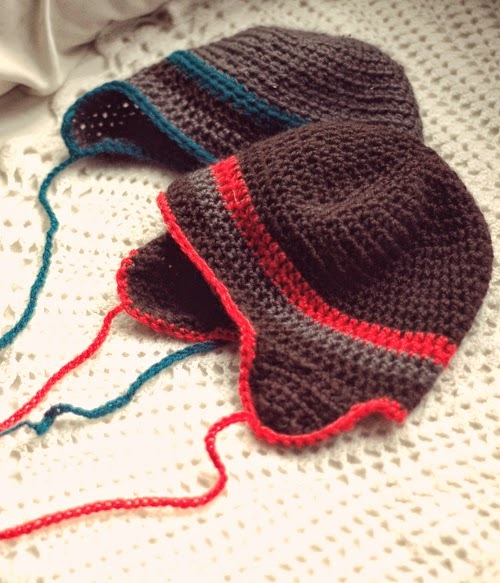 The hats were from a pattern (micahmakes.com). And thank goodness. While Willem’s (the blue one) is slightly small, I’ll easily be able to make another. It feels good to actually finish some crochet projects. It makes me want to do some more smaller pieces, but what to do…? Previous Post Fish Fingers and Trying Fighting School Holiday Boredom….